Aero Fence brings over 20 years of fencing experience to the Wichita area. We are proud to offer top quality products at a competitive price. We offer complete design and installation, as well as, over the counter sales for the do it your-selfer. 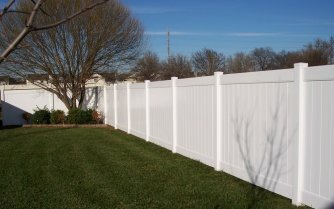 Contact Aero Fence at 316-858-0757, for a quality new fence or fencing repair, or a free estimate. Our fence contractors can create custom solutions to fit any budget or project goal.